The Day chair by Design House Stockholm was designed by the Swedish manufacturer's in-house design studio under the direction of founder and CEO Anders Färdig. An angular silhouette, compact dimensions and a harmonious mix of materials characterise this armchair, which invites you to relax. Placed in the reading corner, integrated into a sofa landscape or used as a comfortable seat in the corridor, the Day armchair cuts an excellent figure and stylishly enhances any ambience. The upholstered foam seat has high armrests that gently surround the user and give him a pleasant feeling. Thanks to the back cushion included in the delivery, the armchair receives additional comfort so that hours can be spent reading or watching television. The base consists of a pine frame wood together with angular legs made of solid oak. The wooden elements enrich the armchair with a warm component and give it a natural touch thanks to the visible wood grain. In addition to its visual and comfortable advantages, Day armchairs are also distinguished by their high-quality workmanship. The fabrics of the chair have been tested using the Martindale method, which measures the abrasion resistance of various fabrics. The materials reached a value of 100,000 Martindale in the friction test, whereby even 35,000 Martindale are regarded as sufficient for the use in the public area. The Day armchair from Design House Stockholm is available in various upholstery colours that can be perfectly combined with the matching Day footstool. Isolated product image of the Design House Stockholm - Day armchair, light grey. The Day armchair from Design House Stockholm is characterised by its angular silhouette, compact dimensions and a harmonious material mix. The solid wood frame and legs also provide a natural touch. 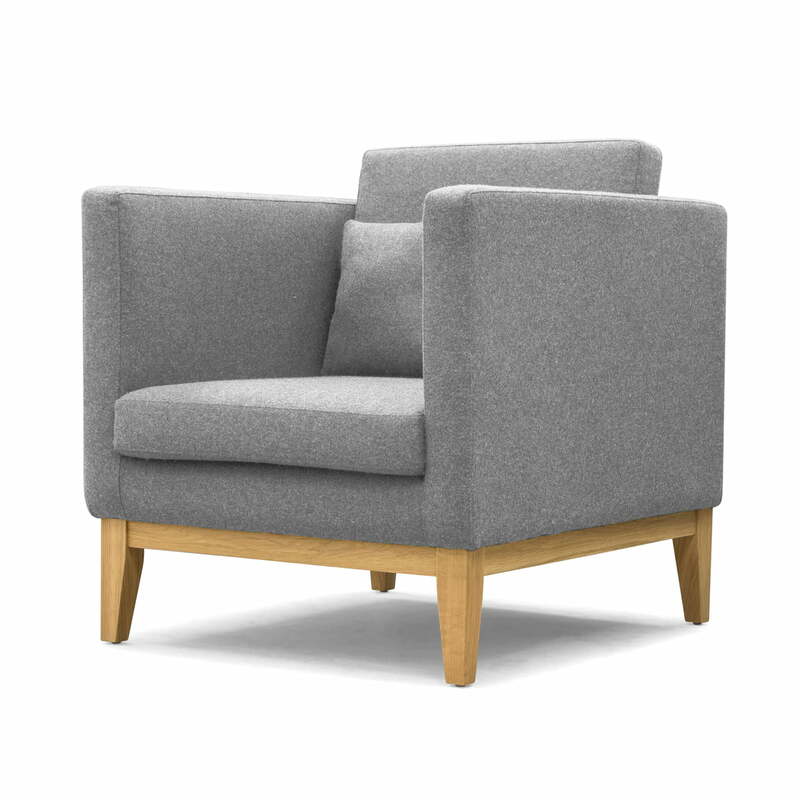 Isolated product image of the Design House Stockholm - Day armchair, light grey. The upholstered foam seat has high armrests that gently surround the user and give him a pleasant feeling. Thanks to the back cushion included in the scope of delivery, the armchair receives additional comfort. 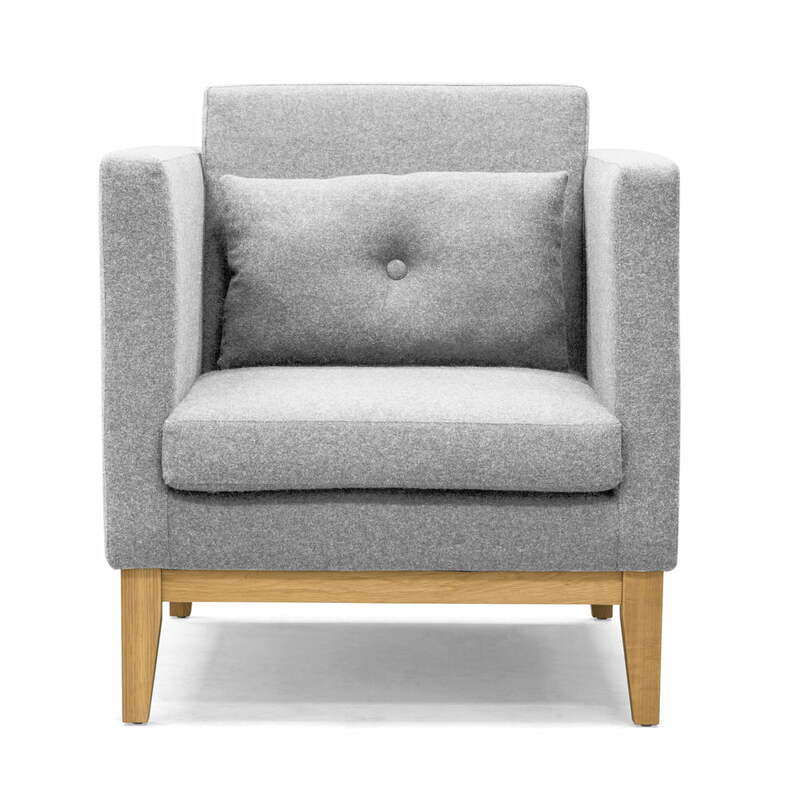 Back product image of the Design House Stockholm - Day Dream armchair, dark grey. 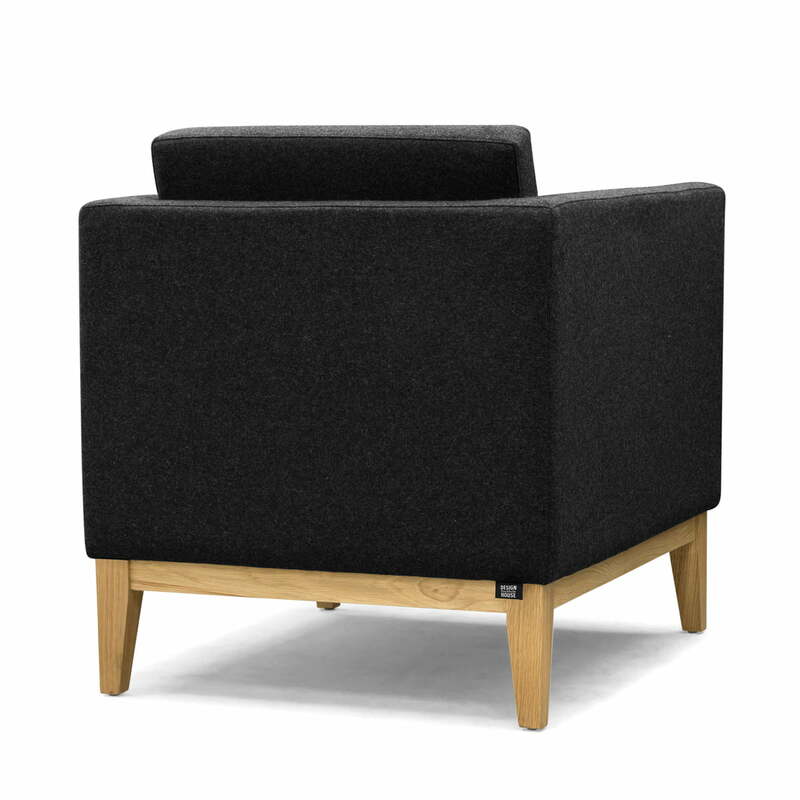 Isolated product image of the Design House Stockholm - Day Dream armchair, dark grey. The base consists of a pine frame wood together with angular legs made of solid oak. The wooden elements enrich the armchair with a warm component and give it a natural touch thanks to the visible wood grain.